The headline comes from the Langley Advance. The good thing is that the report itself is actually available in the article page and for download from Scribd, so you can make your own judgement about what it says. Of course the press will always go with a negative for anything about TransLink – and I must admit that I have long been critical of the lack of service available to HandyDART users. What I think is remarkable about this survey is that it reports a generally positive tone in the responses. The other thing that has to be noted is that very few of the people answering the survey were entirely reliant on the service. Now the report does spell out where it was conducted – across BC but proportionately by population with properly weighted response rates. 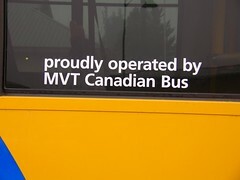 So this includes results from Metro Vancouver – where it is contracted out to an American operator (MVT) – and several of the larger BC Transit service areas. And my impressions are not those of a user. 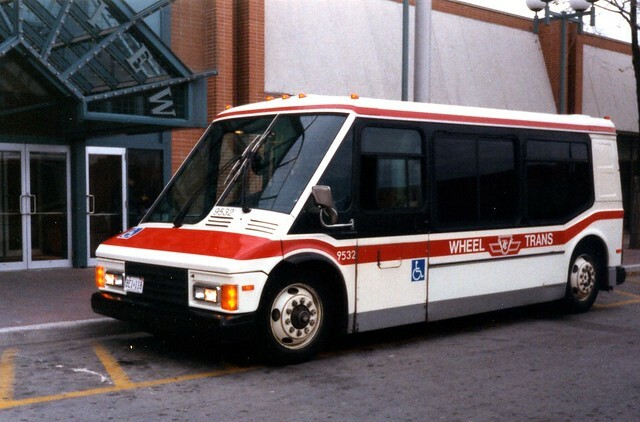 At the time I worked for BC Transit and then TransLink (1997 – 2004) I was only too aware of a very high level of dissatisfaction. That was not based on an impartial survey but rather the constant pressure from advocates – and dissatisfied users. On social media and talking to people my own age, all I see are complaints. But if you think about it, that is also the case with transit service in general. The posts about friendly helpful bus drivers are few and far between – but the gripes when service is less than perfect are plentiful. Some of the responses reported seem to be a bit obvious: “71% of respondents used the service to get to medical appointments.” Well that is because the age group of users is heavily weighted to those who no longer work or go to full time education. The supply of HandyDART trips is inadequate to meet every need so they have to be rationed, and those are the three for getting priority. Now, if you are a user who knows how to work the system you ensure that your doctor or clinic is located in or next to a mall so that you can quite reasonably combine trip purposes. But when you book it is for a medical appointment and not just to change your library books. Of course in recent years many more services can be conducted on line – and as a senior myself I am well aware that the degree to which people of my age group have become adept at using computers. I no longer even own a cheque book and the number of times I actually need to go into a bank branch a year is less than one handful. One thing that has not changed is the level of dissatisfaction with taxis – which are used to supplement the inadequate supply of purpose built vans. 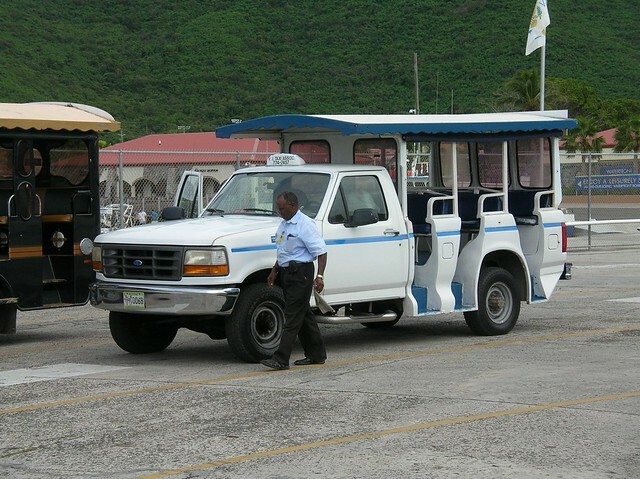 This is not so much about the vehicles (though accessible taxis are often pre-empted by cruise ship passengers with lots of luggage) as the drivers, who still have a low level of understanding or tolerance for assisting people with disabilities. It is notable that those in Metro Vancouver get much lower ratings than those in other parts of BC. I also still think that if we had an accessible, door to door, shared ride service – better than a bus, cheaper than a taxi – the overall level of service and customer satisfaction would increase and the need to rely on all those other types of service mentioned in that chart would decline. I hope that we recognize that this is a real need and one that ought to be met by the public sector, since Uber has clearly targeted this market as the one it thinks it will be able to monopolize and extort. HandyDART trips to increase by 85,000 in 2017 says Translink CEO: currently, HandyDART makes 1.2 million trips each year and has 23,000 people registered with the service. Jeff Nagel broke this story today on BC Local News. I really wonder how this will play out and cannot make any predictions, just raise some concerns. 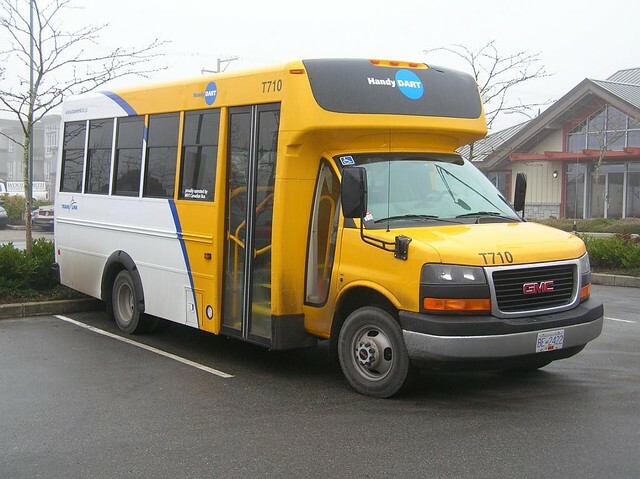 Seniors, the disabled and other HandyDart users could be affected in the event of a strike, but essential service levels would first have to be approved by the Labour Relations Board. First off, people with disabilities are the only people who use HandyDART – that is because it is a specialized transit system intended solely for people who cannot use the conventional transit system. 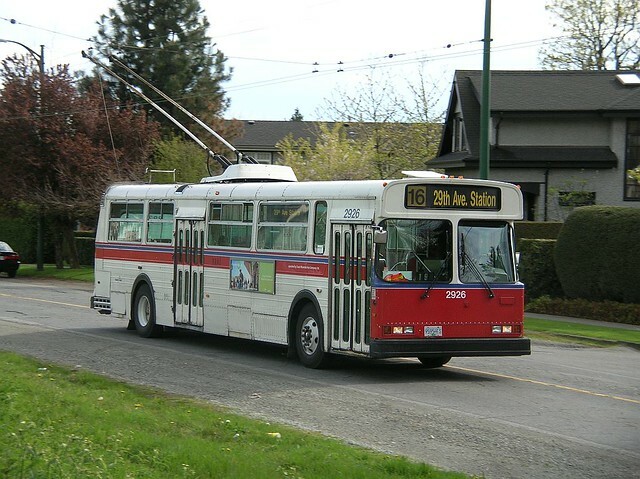 That being said, the conventional transit system has been getting more accessible – the introduction of the low floor trolleybuses removing one of the largest barriers. 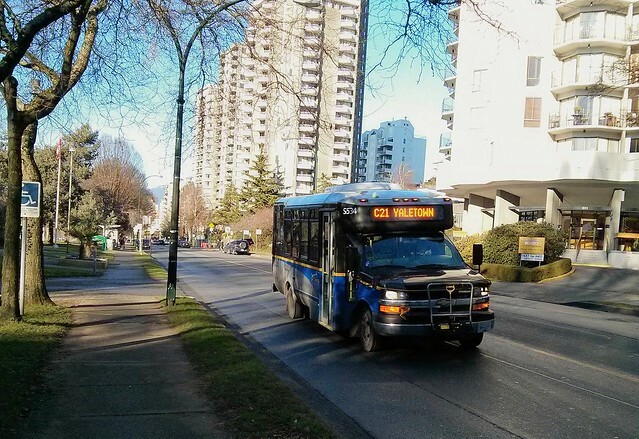 But for many people it is not the transit system that is the problem – it is getting to it. HandyDart provides a door to door service – the driver will help people in ways that are not practical for a bus operator. 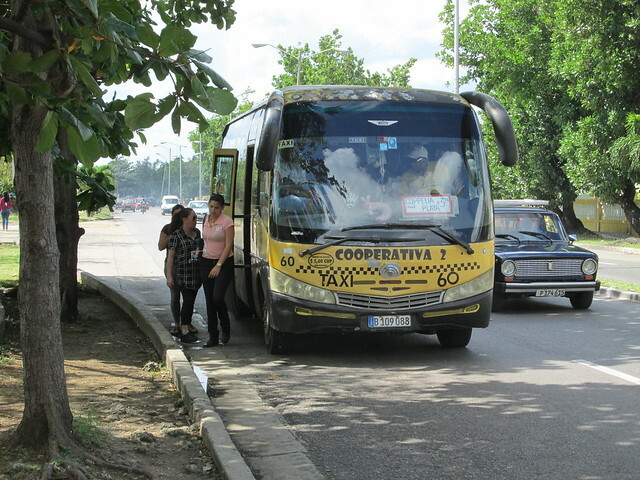 Even when the bus itself is accessible, many bus stops are not. And the municipalities are all a long way behind making the streets easy to use for everyone. Continuous sidewalks are a rarity in most places – and dropped curbs seem to get put in for vehicles much more readily than for crosswalks. But how the LRB defines “essential service” will also be interesting. 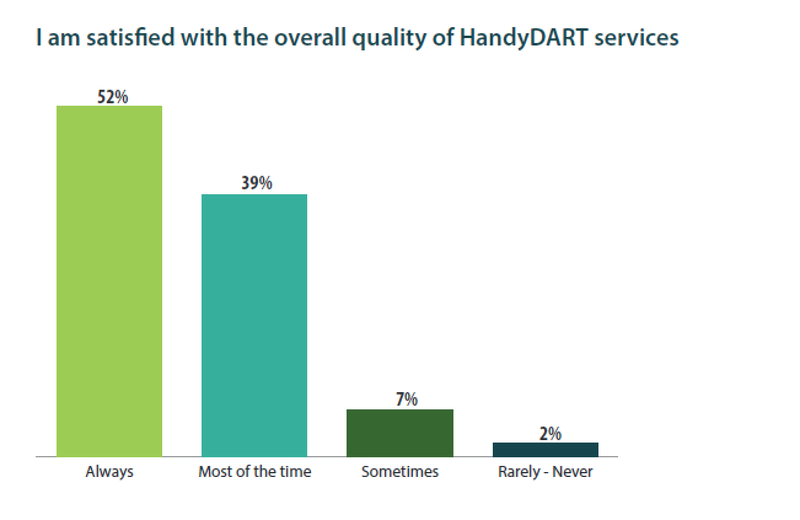 HandyDart users do not get anything like the accessibility that the rest of us enjoy. They have to negotiate for every trip – and only those trips thought to be essential are likely to get a booking. Work, post secondary education and medical trips get priority in the booking system. If your trip request matches an existing van run and there is space you may be in luck. Regular trips also get served before “casual” trips – which was one of the reasons that Taxi Savers were introduced. There is currently an ongoing ambulance strike – but that does not mean that you cannot get an ambulance if you need one. Though when it turns up it will have an “on strike” banner on it. Users include renal patients requiring regular trips to local hospitals for kidney dialysis. Usually that means a trip three times a week. And after dialysis, patients are often tired. I cannot think of a better case of “essential service” – but then that will also apply to many other types of trips which may not be quite so life threatening but will certainly have a devastating impact if they are denied. And most users of the services are among the most vulnerable members of society. 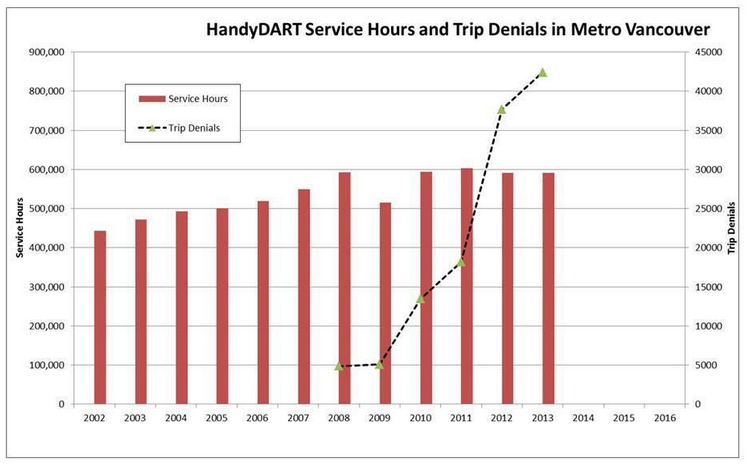 HandyDart is one of the few contracted out transit services in the region. It used to be operated by small local contracts – often by voluntary societies or other non-profits. That changed in recent times when MVT won all the contracts – and one of the reasons was said to be greater operational efficiencies offered by one operator rather than several. The greatest benefit being trips that crossed operational boundaries. Not that, in my experience, that was the greatest problem, but it seemed to me there was always more concern at management levels about efficiencies rather than service levels. Simply because a specialized service costs a great deal more than conventional transit, and fares cover a very small percentage of operating costs. MVT has grown up in the US as a “minority owned” business. They have been remarkably successful. As you can see from the brief details of the dispute they did not get that way by throwing money around. While MVT is offering modest pay hikes, [union president Dave] Watt said the firm wants to reduce payment for benefits, cut back vacation weeks and switch to a less generous pension plan. He said MVT also wants the ability to contract out work and to end guaranteed hours, allowing the firm to send workers home early if there’s insufficient call volumes. It’s a business, not a social service. MVT has to be concerned about its bottom line. Taxis are not really an alternative. For one thing they cost a great deal and taxi savers are tightly rationed. For another, taxi drivers are one of the biggest sources of complaints from users with disabilities. While more licences have been issued in recent years for vans capable of loading a wheelchair, that has mostly increased the capacity to handle baggage for cruise ship passengers – and they tip better too. I can only hope that negotiations are concluded successfully and speedily – and that if it does come to industrial action that the people impacted are given every possible consideration. It is bad enough to have a disability – but to have your support system snatched away is intolerable.